Inertia and the Mystery of Evil, although written when Rudhyar was only twenty-six years of age, introduced important themes which Rudhyar significantly developed throughout his life. The first few paragraphs feature the theme of "whole-seeing" and briefly outlines the cyclocosmic process which Rudhyar later formulated in a much deeper and more mature manner in The Planetarization of Consciousness, Rhythm of Wholeness and others books. Later on in the article, Rudhyar touches on themes and concepts which would later figure as key elements in the formulation of Humanistic Astrology. 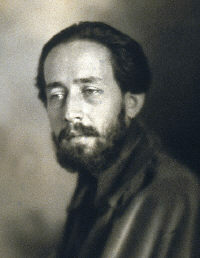 During the 1920s, Rudhyar was much involved with musical and theosophical activities. Within a few hours of arriving in California in 1920, Rudhyar met a great theosophist, B. P. Wadia, with whom he became closely associated. At that time, Wadia, a wealthy Bombay Parsi, was playing a key role in the Indian Independence Movement and had started the first laboor union in India. Living and working in Madras, India at the international headquarters of the Theosophical Society, Wadia was also the editor of The Theosophist and the managing editor of Theosophical Publishing House. He published Inertia and the Mystery of Evil and other articles by Rudhyar in The Theosophist. Later Rudhyar's book The Rebirth of Hindu Music, was also published by the Theosophical Publishing House at Adyar, Madras, India. Inertia is the principle according to which a system or entity tends to keep the same mode of equilibrium. As there are two generic forms of equilibrium, vis., stable and unstable, we have accordingly to consider two kinds of inertia: one dealing with stableness, the other with unstableness. In the first case we have the inertia in force during pralaya: in the other, inertia as we see it manifesting throughout manvantaras. With the first one we will not deal here, for it transcends almost every notion we are able to grasp. We may only approach this mystery in using a series of negative numbers, which simply gives us the counterpart of the Universe as we can conceive it now. The second mode of inertia, or manvantaric inertia, is a somewhat easier subject to treat. Yet it has been so much misinterpreted in its secondary manifestations that we need to come back to the essence of the force in order to understand its outer as well as its innermost aspects. When we speak of manvantaric inertia, we mean "unstable inertia," or the principle according to which the motion conveyed by a given impulse tends to perpetuate itself throughout space and time. The first idea arrived at is this: we cannot really conceive, during a manvantara, or any form of inertia which is not unstable in its essence. If we appear to be able to conceive such a thing as stable inertia (for example, the inertia of a stone resting upon the ground), it is because we limit our examination to a fragment of the system instead of considering the whole. In fact motion is everywhere, as soon as manifestation is. Motion and inertia are the two poles (positive and negative) of manifestation. Manifestation, or the Word, is the result of a continual interaction of motion and inertia; so that there can be nothing as pure motion, or absolute unstable motion, and nothing as pure inertia, or absolutely stable inertia. Therefore, when we speak of an inert system of qualities, we speak of one in which the pole of inertia has become predominant. Were it possible that one system of qualities in the whole Kosmos could become absolutely inert, the whole Kosmos would fall, de facto, into a state of utter crystalization. On the other hand, should motion ever become unrestrained by inertia in the tiniest atom, the whole Kosmos would explode at once. We will find an exemplification of this assertion when we see that the power for good or evil of any being is necessarily limited. Inertia, we said, is the principle according to which the motion conveyed by the given impulse tends to perpetuate itself. What does it mean in terms of subjective life? It means that inertia is the tendency by which any fact or sensation seeks to repeat itself indefinitely. Let us take an example: you experiment through contact with a sensation of pleasure. Your body likes it. You crave for its repetition; not because you want anything new, but because you like the old vibration and want it back as it was. That is Inertia, and also, using another name, it is Evil. The monad in projecting an ego, the ego in projecting a personality, is subservient to the principle of motion or activity. This principle may be termed also desire for consciousness. Now, consciousness is the epiphenomenon of experience. You make an experiment; a sensation is felt; this feeling pushes forward your consciousness. Repeat this process, and you have the story of the whole Universe. Thus, to live is to get sensations � as many as possible in the shortest possible time. Now, why is it not always so? Because of the force of inertia, which makes the vehicles of the monad repeat contacts for their own selfish pleasure, contacts which do not bring anything new in the way of consciousness to the monad. Inertia is the voice which, in low imperative tone, utters the "Again!" after all sensual enjoyments. And the pleasure is craved for, and experienced again, not with the aim of informing the monad, but to satisfying the body; of working, not on the side of activity, but on the side of inertia, not for life but for death. Incidentally this is the Key to the axiom: "Kill out sensation." To kill sensation, as ordinarily conceived, would mean immediate death. But there are two kinds of sensation: the sensations which mean inertia, and the sensations which mean activity (from the point of view of the Spirit). Only the first ones have to be killed, because they make the monad waste time, and to waste time is the only evil, spiritually considered. As we said above, the monad has to learn certain lessons, to experience a certain number of contacts. These contacts cannot be experienced all at once; or, at least for our material intelligences, it is as if they had to be distributed over a certain line of extension, which we call Time. Therefore the only aim, the only ethical standard, of the monad is not to waste any time in repeating exhausted contacts, and to crowd the new ones into the shortest possible duration. Any wasting of time means evil, and that only because, eternity being posited, a monad will always succeed in reaching the goal. Speed is, then, success. If we consider all that has been catalogued under the name of evil, we find that, at the bottom of any of these things is the unnecessary repetition of a perfectly normal and progressive action. There is no action which in itself is bad or anti-progressive; and there is no action of which a conscious repetition will not be, in the end, evil; for not to advance means to regress. The shell of the molluscs was once a progressive instrument of life; but the forces of inertia kept the making of the shell going on when the vital value of it had been outlived; and the shell became the cause of the regression of these lives. We have, in fact, thousands of shells in every kind of matter. Build a thought-form by the repetition of a pleasant or even easy thought, and you have a mental shell; all vices are astral shells; you may have even buddhi shells, such as the desire for sacrifice in some souls who would like far better to be crucified than to make a little effort in a new direction. All these shells not only cost time to build, but stop any new influx of spirit. They may cost years, centuries, to the monad. All acts bringing an what is now fateful karma, were once good. Selfishness has been necessary in some previous system, or even race; but the selfish act brought pleasure to the body, and the body remembered, when the previous evolution had to be recapitulated in the new one, and refused to go beyond, to make the necessary effort to break the habit of old. And the action is repeated, each time with an augmented and ever more noxious effect; as the speed of a falling stone increases by geometric progression, so does the effect of an evil act; for every act builds in the auric egg an image, and this image grows stronger and stronger; and the stronger it grows, the more it attracts similar vibrations. Here again we have a sort of shell, more potent because of a dynamic character, calling back for continuous reactions from outside. Even in the cosmic hierarchies do we see how the repetition of a good impulse becomes evil. We speak of the Fallen Angels, of those who refused to serve Jehovah passively, and fell through pride. Jehovah here acted along the line of inertia (at least it may be supposed He acted so), because his plan, which once was good at the beginning of man�s evolution, became bad when repeated at the time when humanity was ready for self-assertion. He personally liked, maybe, to see man as a passive refection of his glory. But this desire was a form or inertia; and the Lucifers had to break it, and they have to break it still: for the shell-thought-form of passive obedience to God is not yet crushed, and humanity is still in part the reflection, purely passive, of its gods, or half-gods. So the Fallen Angels were, and are still, the great revolutionaries, the breakers of shells, the breakers of the ossifying power of Saturn � as Christ has been and is� Saturn or Satan, the elder of the Elohim, the principle of inertia, ruler of the bones, of the form-side of things, the crystalizing power which enframes every bit of life, which by framing separates, by separating induces to pride, and by pride exalts the black magician. But Christ opposes Saturn. The black magician finds a white Initiate to balance his influence. And both, power of destruction as well as power of regeneration, are necessary to life. Without Saturn, earth would become a molten sea; yet without the Christ-life in all its forms, it would soon become a frozen desert. Here we come to the great problem. We said, in speaking of the monad, that inertia caused a waste of time, and slowed down terribly the evolution of the monad towards Godhood. But on the other hand, a continual precipitation of new experiences, or an almost complete eradication of the force of inertia in the monadic system, means a superabundance of activity: the bodies soon resemble speeding, overheated machines, and explosion may ensue (madness, death), which would mean a terrific delay in the construction of new bodies and all that is implied therein. As we said previously, should a tiny atom succeed in annihilating in itself entirely the force of inertia, it would explode at once, and with it all the Kosmos. So we see that the problem is twofold. Too much inertia, and time is wasted; too much activity, and time is also wasted. Should you repeat sensations for selfish use, the incarnation is only useful to the monad in a very few instances; should you accelerate the speed of the bringing forth of new sensations, the incarnation may be totally wasted, making another long waiting in the astral world necessary. Yet it we consider both eventualities, we see that the second one is, in our present phase of consciousness, far the less dangerous. For even sudden death may mean another set of astral experiences, and possibly not so much loss of time; whereas the bulk of humanity is so much ruled by inertia that this force seems to be the real arch-enemy. Thus it has come to be considered as the primordial form of evil, and all the secondary forms of inertia have been put under the same qualification. To study all these forms of inertia would not bring us nearer the answer to the problem of evil. For what they would show us would be all the stages of manifestation of inertia on different planes; yet we should see why inertia is apparently more dangerous than activity, why, in following inertia, we lose in the present much more time than in giving way to intense activity. For the two poles, inertia and activity, are equal in fact. Why should one be termed Good, the other Evil? Two solutions seem possible: (1) Our Solar Logos, or system, happens to be one in which inertia, having primordial pre-eminence, is, for the sake of equilibrium, the thing to be fought. (2) Inertia is predominant during one phase of the existence of any system, and activity during another; and we are in the midst of a period where inertia is ruler of the world. Most probably these two solutions are both true in some respects. The first finds a basis in the theory, already brought forth by students of the Divine Wisdom, that we, in our normal consciousness, function in the Second Aspect of the Logos, or, in more concrete yet less adequate terms, that our present solar system is evolving more especially, and bringing to perfection, the Second or Love aspect of Godhood. Such a theory would suggest the existence of a previous solar system (previous, not necessarily in terms of time, but rather in terms of qualitative evolution), where Intelligence, or, better, the Morphogenic Power of the Third Logos, was a ruling factor; and also of the third system culminating in the perfection of the Power of the Will Aspect. The fact that we function on this Second Ray of development explains why inertia is a danger to our evolution. For every principle of the Logos is both positive and negative. Thus to positive Will corresponds negative indifference, or neutralness; to positive Love, negative inertia; to positive Intelligence or Activity, restless or selfishness. Love is the binder, the co-active element; therefore it is the passive, conservative factor in mankind as in the Universe; it is inertia. Now we understand that where Love is the goal, the co-active forces have necessarily preponderance; the negative aspect of these forces is then the great danger, is then termed evil. In the same way we should see that in the first system, or Third Ray of development (corresponding to the Third Logos, the first to be manifested), restlessness or selfishness was the great evil. The tendency then was not to repeat actions, but to scatter all forces in a ceaseless pursuit of sensations never exhausted, to indulge in a restlessness destructive of an real and deep understanding. But the second solution of the problem is also true; and it is true, because, in fact, these two solutions are the same. In the first we had considered things from a cosmic point of view, whereas in the second we restricted ourselves to a smaller cycle of manifestation. The three solar systems are co-existent, as everything is if we reach the plane of co-existence. On a lower place we find that all cycles are but one ratio of qualities, differently terms according to the denseness of mayavic veils. So we see that each Race or sub-race, in so far as it is a cycle, functions through three systems, as first we said the whole solar system did. First, evil is more joined to the idea of unrestrained activity (as in the new races, e.g., the American): then inertia becomes the arch-enemy, then neutralness or indifference, as in many dying races. But in the same way in which the seven subrays of a major Ray are all tinctured by the color of the Father-Ray, inertia remains always the dominant factor, the original conception of evil, for this reason only � that we belong to the manifested pole of the Absolute. And such is the conclusion reached if we go a step further in our cosmic analysis. Evil, did we say, is that which causes a loss of time to the monad. Too much activity is also evil, in so far as it means waste of time. What, then, is the rapport of Time and Evil? Evil, being that which gives more duration to the series of monadic experiences, may be said to be in reality one in essence with Time. Were the multiple experiences of the monad instantaneous, there would not be any time. Time has reality only as a function of the speed with which the series of experiences unroll themselves for the monad or the Logos. If this speed increases, time had less weight; does it slow down, time presses more heavily upon the being. Time, being all the succession of our feeling or sensations, being inconceivable except as the weft of these feelings, is really identical with Evil. But it is identical also, subjectively, with the quality of Extensiveness. For the more extensive (from the material point of view) the Universe, the more numerous the experiences, and the more time is needed to encircle the Universe. We may even go so far as to say that, in this respect, Extensiveness is only an aspect of Time; for the only thing that counts with the Spirit is that which separates the end of a cycle from its beginning, the Nirvana from the Birth. And that is counted only by the subjective succession of sensations, therefore ultimately in terms of Time. The longer the road, the more weary the pilgrim. Everything that shortens the road is joy, is good. The road is the Extensity. But the road counts only as a motive for steps, steps only for what they bring to us subjectively. The succession of these subjective states is Time. At the limit, we find that the only Evil is that there is a road and a pilgrim, that there is something. "Where there is nothing, there is God," was it said. But shall we not say as well: "Where there is nothing, there is Good?" But what does it mean, if not merely that we call the Unmanifest Good, that we call the Manifest Evil? Yet both are two poles of the Absolute, and in the Absolute there is not Good, nor Evil � there is nothing that is, and nothing that is not. And all differentitations, all these phantoms that we, monads or Logoi, oppose as children, merge into the Silence, the Darkness, the Peace, that is the Ineffable GLORY. The Work and Aims of a Theosophical Lodge.